Omega Xl - Cannot understand the customer service agent. We take our customer service very seriously. We welcome the opportunity to regain your trust and perhaps serve you better in the future. Please feel free to contact our Customer Advocacy Department at 1-800-607-0419 ext. 3188 to address your concerns. Thank you again for your feedback and we look forward to hearing from you. 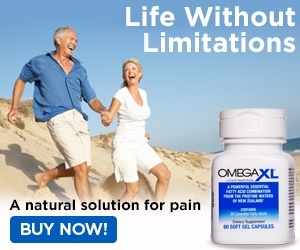 Due to my chronic arthritic problems, I was curious about Omega XL and tried to order by phone. During my phone conversation with the customer service agent, I tried but simply could not understand the agent due to his heavy Indian? / Pakistani? accent. I was very concerned in giving this guy my credit cart number.... he could not understand me nor could I understand him, so I hung up. If this company wants to sell their product they should contract with a company whose employees can speak clear and understandable English, preferably someone from the USA ! Review #581083 is a subjective opinion of User581083.